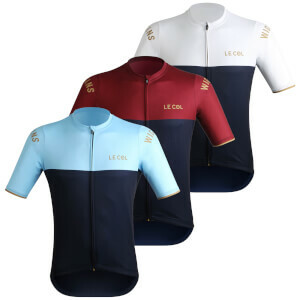 Le Col's fastest pro shorts. 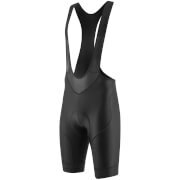 Developed and proven in the pro peloton this is a race ready garment focused on performance without foregoing comfort. 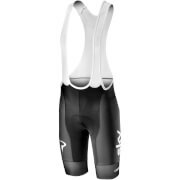 The Pro Bibs use a lycra sport fibre, engineered to provide exceptional fit and recovery power to deliver dependable form season after season. 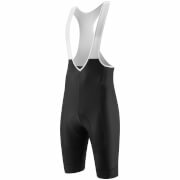 The updated fabric on the upper section of the bibs ensure that the shorts stay in place while keeping fabric to a minimum. The trademark oversized Le Col gripper with intermittent silicone tabs ensure the shorts hold firmly in place with less pull. A Pro Dolomiti Chamois has been chosen specifically for cyclists focused on performance and looking for dependable comfort and quality on long rides or competitive races. The thinner pad has a highly effective silicone treatment and provides comfort without sacrificing performance by removing the excess bulk of larger chamois. A special thread and stitch shape down the outside edges of the pad reduces rubbing to an absolute minimum. In addition, the seams have been flat locked to eliminate irritation and the logos are embroidered to last the lifetime of the product. 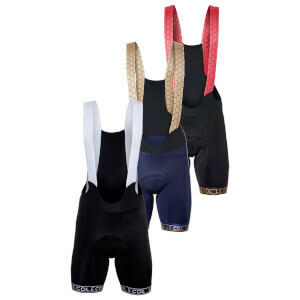 This Pro Bib Short is Pro Racewear available to all. Most suitable for races or competitive club rides.